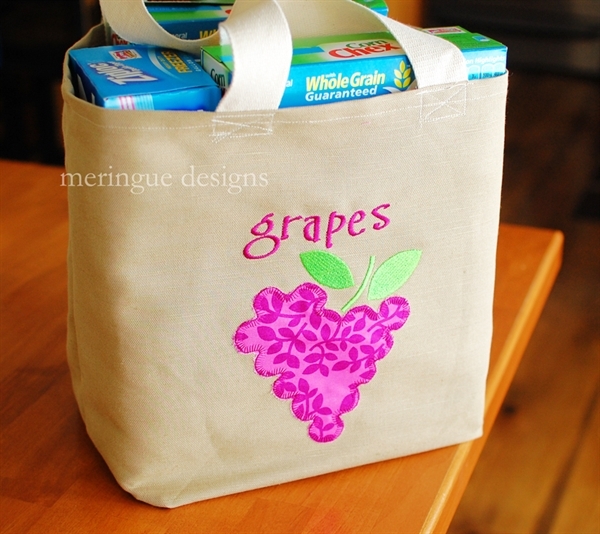 A bunch of grapes would look fabulous on any kitchen item. 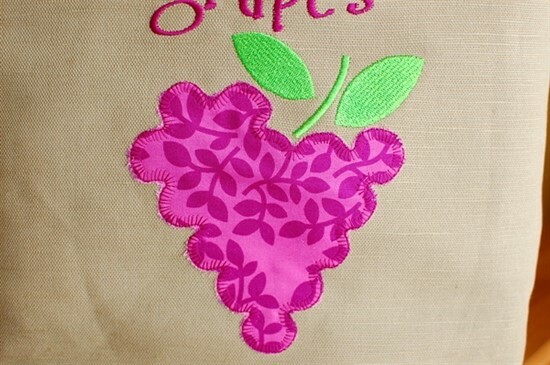 The applique version has a blanket stitch tackdown for a lovely handmade look. If you like the lettering style in the word 'grapes' that is Swing Set. 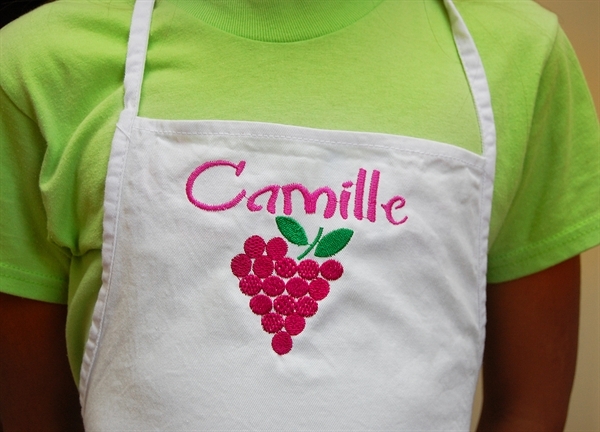 "Camille" is embroidered in the Hallie Alphabet. New to applique? 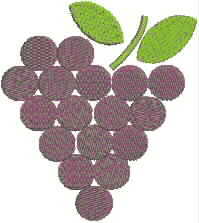 See my blog for a tutorial.